Swagat Kumar Das | I.K International Publishing House Pvt. 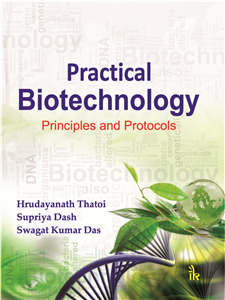 Ltd.
is working as a faculty in the Department of Biotechnology at College of Engineering and Technology, a constituent college of Biju Patnaik University of Technology, Rourkela, Odisha. He obtained his B.Pharm degree from BPUT, Rourkela and M.Tech degree from Rajiv Gandhi Proudyogiki Vishwavidyalaya, Bhopal and qualified GATE in the year 2007. He has more than 6 years of teaching experience. His teaching areas are medical and pharmaceutical biotechnology, upstream and down process engineering, biochemical reaction engineering, intellectual property rights at the B.Tech and M.Tech levels.